You can find the new and improved lineups page at the website above! We are very proud to bring you tons of great info and lineups each day! Want to sponsor our articles? Email me at support@dailyrotohelp.com to get started! Reach thousands of people a day with fantasysportsadvice.sportsblog.com and dailyrotohelp.com! 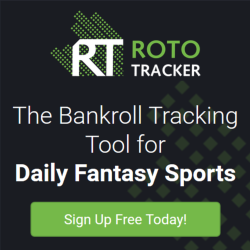 Check out dailyrotohelp.com for the latest information, in depth analysis and up-to-the-minute optimal lineups covering all your daily fantasy sports needs.